Yes. I have pet envy. 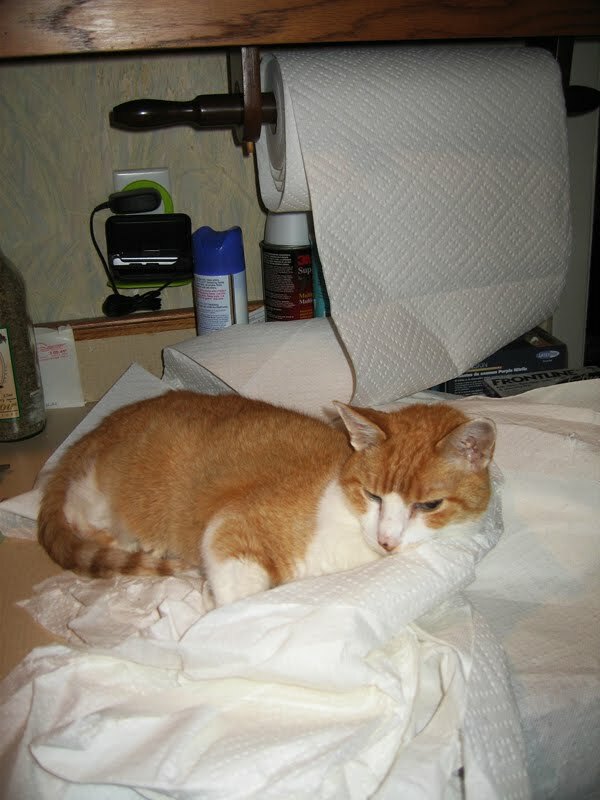 Wouldn't it be nice, at that after-lunch crash time, to just unroll the paper towels and take a nap on the counter? This is a familiar scene at my house. Cardboard boxes from Costco never seem to make it to the recycling.